Stop #9 of the 2018 USA BMX Pro Series tour took the Elite racers to one of the most loved and historical tracks in BMX, the EP Tom Sawyer Derby City BMX track in Louisville, KY. The home of the NBL Grand Nationals and some of the best titles races in the past has now been transformed into one of the USA BMX SX race locations and still produces some incredible racing. With the 2018 season on the wind down and just a few stops left for the Pros, each race is important for anyone looking to take the #1 Pro title from last years Champ, Connor Fields. 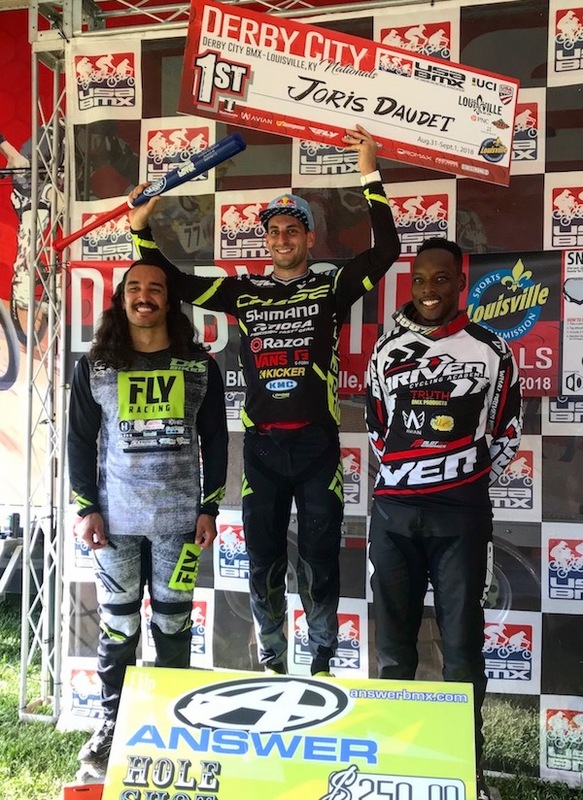 Joris Daudet is having an incredible season and leads the chase for the title, so Louisville would be a key race for both Chase BMX pros. 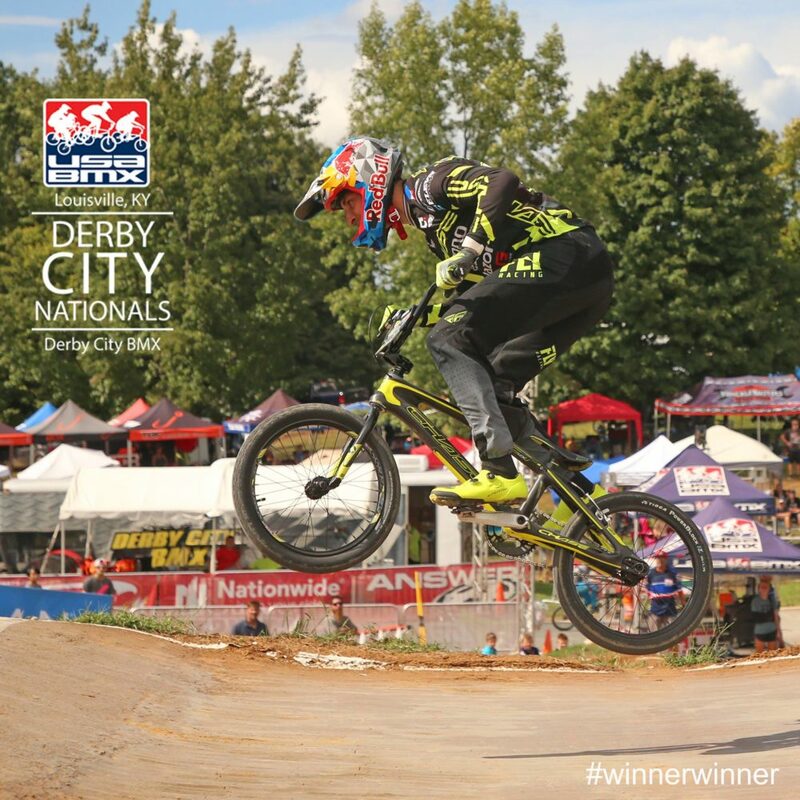 Joris Daudet has been collecting wins on the 2018 tour with 8, heading into the Derby City Nationals, as he currently leads the #1 Pro title Chase. 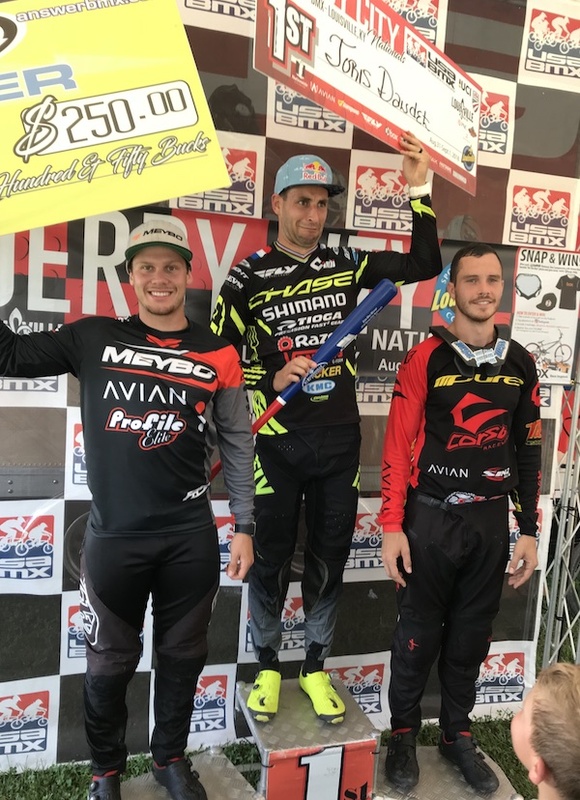 Joris would love to add a 3rd USA BMX #1 Pro title to his list of accomplishments and by the way he raced on Day 1 for the Elites in Louisville, he looks to be on his way. Joris would win the main event by taking the lead from the drop of the gate and never looked back. On Sunday, Joris once again looked fast, but had to work for the win, as Anderson Filho took the hole shot and Joris was just behind him. Joris would stalk him the entire track and pass him down the last straightaway, to take the day 2 victory and the weekend sweep. Connor Fields looked his usually speedy self on Saturday, making his way into the main event. Once the gate dropped, a slight bobble down the first straightway kept him from battling for the lead, and instead trying to get into the top 3. Connor would miss out on the podium and finish 5th overall on Saturday. Sunday was not as kind, as he missed out on the main event, but is already focus on fixing his mistakes as he heads into the tail end of the USA BMX season. Both riders will now head back to the west coast and get ready to race at one of the premier BMX racing and training facilities in the world, Chula Vista, CA for the next stop of the USA BMX Pro Series tour, the Gold Cup Championships West on September 7th & 8th. 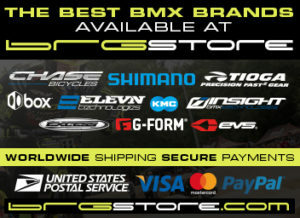 BRGstore.com, Elevn Racing, Insight, and Excess BMX.